There's still time to see Two Rooms, which Time Magazine called "Best Play of the Year." 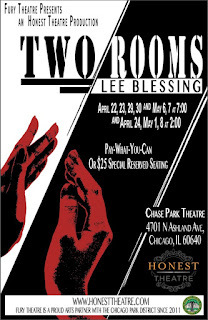 It's playing at Chase Park (4701 North Ashland) and closes this weekend. Friday and Saturday shows are at 7pm; Sunday matinee at 2pm. 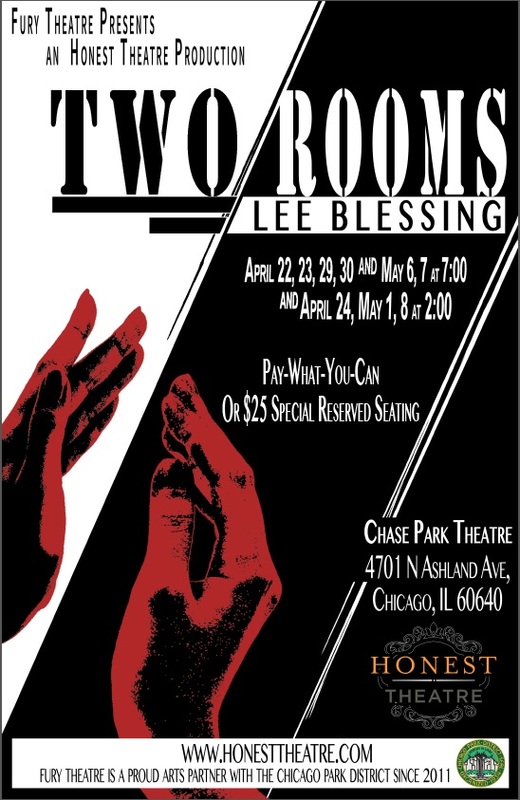 "In collaboration with Fury Theatre, Honest Theatre presents Lee Blessing’s Two Rooms. A husband and wife are held hostage by terrorism. While Michael is imprisoned by terrorists in Beirut, Lainie is held captive in her own mind. As Lainie attempts everything she can to bring her husband home, Michael continues to reach out to her through his verbal love letters."